Gymnasium Prahran - Terry Bennett's Gymnasium is Melbourne's oldest gymnasium, established in 1959. A real gym for real people, with no joining fees, unbeatable prices and a friendly atmosphere. Qualified instructors and personal trainers can help with weight loss, fitness and muscle building. Terry Bennett's also offers Boxing, Kickboxing, Hapkido and Aikido classes. Located in Prahran, Melbourne, Terry Bennett's Gymnasium was established in 1959 by muscleman Terry Bennett, "Mr Melbourne 1961". Famed for his dedication to his trade, Terry Bennett worked and lived at the gym, 365 days a year. Another of his claims to fame was his Australian record for the number of medicine ball sit-ups ever accomplished in a row, an incredible 20,000. This feat took Terry some 20 hours. 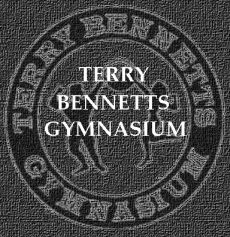 Today Terry Bennett's Gymnasium owned and managed by Terry's son, Stuart Bennett. Our personal trainers at our gymnasium will analyse your needs and then design a program utilising sets of weight-bearing exercise for various muscle groups. Usually you will start on a few sets per muscle group, working up to six or seven sets per group, then onto a split program (different muscle groups on different days). Progressive weight increments is the key to building a stronger, bigger, body. Your program will involve a personal trainer or spotter (a person who assists you when lifting a maximum weight) for optimum RESULTS. Workouts will vary from day to day, as muscles adapt to the workload given. For weight gain this is essential. For weight loss, a faster, higher repetition workout of 25-45 minutes works best, with a combination of aerobic and anaerobic exercise for maximum RESULTS. We like to gradually reduce the rest period between sets and compliment your workout with some boxing pad work, which is great for toning up the mid-section. We believe your body sculpting doesn't stop in the gym, and that rest and diet play a key roll. We can assist you with your dietary needs and the importance of fuelling those tired muscles with necessary proteins and the relevant recuperation times your muscles need. The programs at our gymnasium in Prahran are tailor-made for individual needs, capabilities and restrictions. Our aim is to get RESULTS and the only way to accomplish this is if you keep coming back for your next workout. 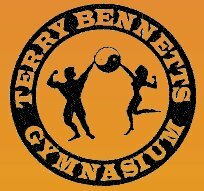 Our trainers at Terry Bennetts Gymnasium give you a choice in how your program is put together. There are many different exercises for each individual muscle, including weights, floor and ball work, boxing and focus pads. At the same time, you are assured of the knowledge and advice of our qualified personal trainers.